I’ve always been a doubter when it came to monofilament thread. My view was why would you use that fishing line stuff for quilting when there are so many beautiful “real” threads available. Well I am glad that I didn’t ever place an “I will eat my hat” type bet about never using monofilament thread, because the super fine nylon monofilament from Aurifil truly is wonderful to use. 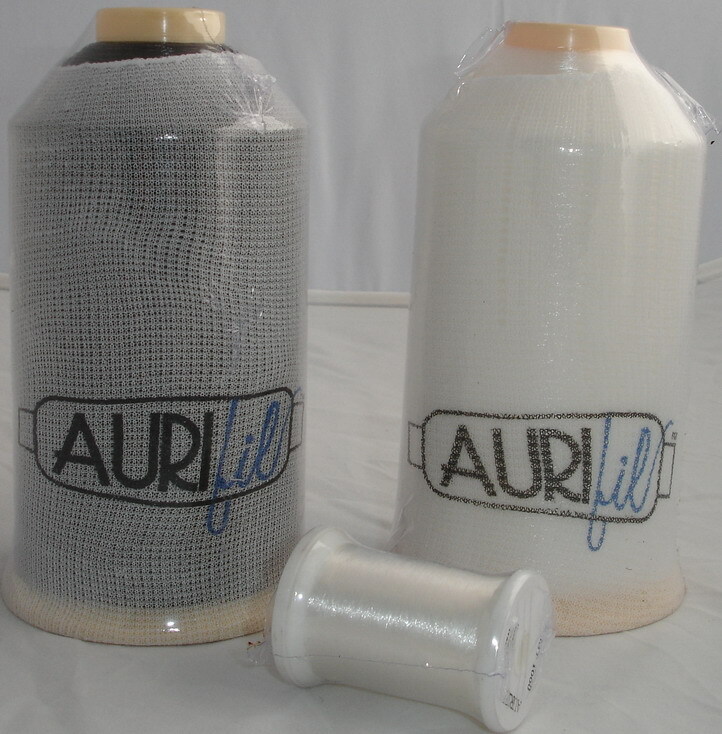 Aurifil Invisible monofilament thread is available on 1000 metre spools and 14,400 metre cones in both clear & smoke. Late last year the staff tested this thread at an applique workshop with Gloria Loughman, so we knew that it ran through a domestic sewing machine very nicely. We even attacked the stitching with a warm iron to de-bunk the furphy about nylon threads melting. The thread stood up to our rough treatment without any changes to the appearance or handle of the stitches so I was very happy to added it to our Aurifil stock list. However, I was still unsure about how it would perform on a longarm machine so last week I took time out from all the other jobs to free hand quilt a pre-printed panel on my Gammill quilting machine. 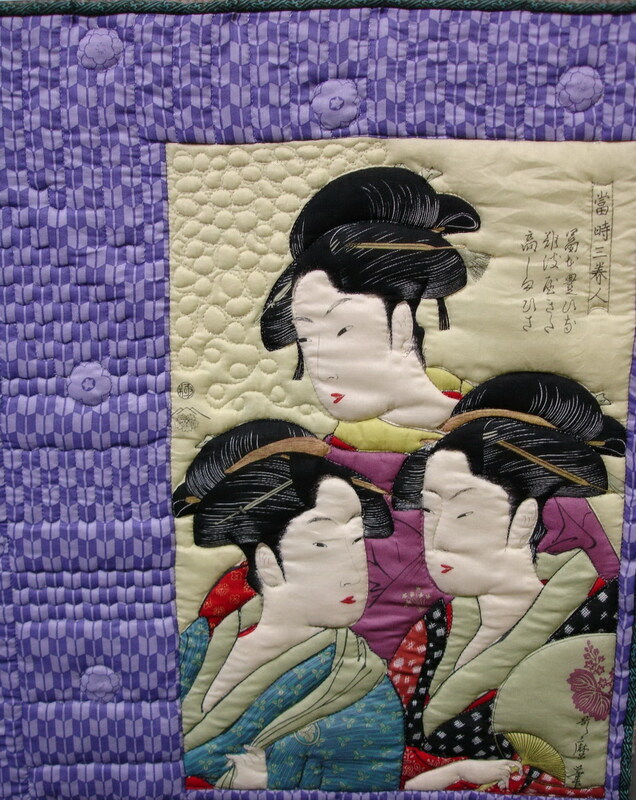 My Geisha Girls wall hanging quilted with Aurifil's Invisible (monofilament) thread. I thought that if anything was going to put the thread to a real test it would be my freehand stitching of tight VVVV shapes, diagonal lines running from lower right to upper left & tiny looping stone stitches. I am very pleased to report that the thread handled the test with out a break. I did tame the thread feed with some plastic wrap as I was using a spool rather than the cone, which is supplied with it’s own thread net. 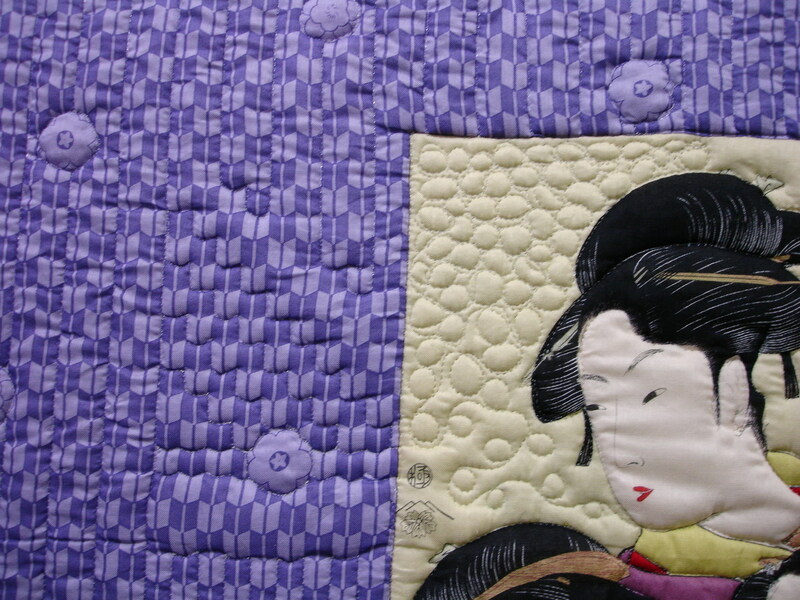 I gave it a tough test as I didn’t adjust the tension or stitch length and I used my standard needle, that had already quilted two quilts, one of which used a cotton batting … so a blunt needle. So, in conclusion, I am pleased to report that the Aurifil Invisible (monofilament) thread passed it’s meanest, toughest test with flying colours. (well clear or smoke colours). As a final comment I was also pleased to note that although the thread did have a little bit of brightness while I was stitching, this disappeared once the quilt was taken off the machine frame. So the thread truly is as non reflective as the ‘blurb” from the factory claimed. Visit the Always Quilting online store to make a purchase.